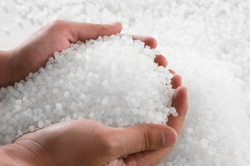 The market for bioplastics has been growing at an extremely rapid pace. Do you wish to have a share in this growth and help shape a new market according to your conception? Bioplastics can be an important pillar in the sustainability strategy of your company due to their environmental compatibility and their relatively low CO2 emissions. Moreover, the development of prices of fossil fuels especially favours economic reasons for migrating. Whether as a manufacturer of raw materials or semi-finished products, you can benefit from our vast technical expertise based on more than 25 years of experience in this field. We have been investigating the properties of such bioplastics as are to be found on the market for over 10 years in a comprehensive, annually updated study. We understand the needs of our customers. In this way we can help you to develop a targeted and successfully marketed product. Are you planning to switch the raw material base of your products to bioplastics? Then we can help you not only in selecting the material, but also in the analysis of your target market. We connect you with potential customers and suppliers. Do you wish to start using products made of bioplastics, and are looking for a suitable supplier? Thanks to our years of experience we can also advise you perfectly in this, allowing you to profit from our strong network on each step of the value creation process. Contact us and we will help you to get started in bioplastics.